The Second Resilient Virginia Conference, being planned with the support of the Virginia Office of Public Safety and Homeland Security, will take place on August 1–2, 2017 in Richmond, Virginia. You can find information on Sponsor opportunities and the Conference agenda here. Or contact Annette Osso, Managing Director, Resilient Virginia at osso@resilientvirginia.org. We are pleased to announce that the office of The Honorable Brian Moran, Virginia Secretary of Public Safety and Homeland Security and Chief Resiliency Officer, and the Virginia Department of Emergency Management (VDEM), have taken a leading role in supporting the conference. Resilient Virginia is co-hosting the 2017 Arlington Home Show this year. It’s happening April 22 from 10 am to 5 pm at the Jefferson Community Center (125 South Old Glebe Rd., Arlington, VA 22203) Resilient Virginia is bringing a special event to the Home Show and you’re invited to participate. New this year! 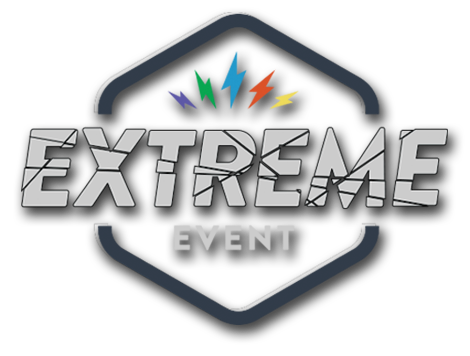 You are invited to join us and participate in the Extreme Event Game! What would happen if Arlington was struck by an extreme weather event? The Extreme Event Game is an in-person role-playing game that gives participants a taste of what it takes to build community resilience in the face of disaster. Taking place from 1–3 pm on April 22, this game is for teenagers and adults. Players work together to make decisions and solve problems during an engaging, fast-paced disaster simulation. The interactive event is conceived, designed and offered by the National Academy of Science Koshland Science Museum. We are excited that the Koshland Science Museum game designers will be facilitating the event for Arlingtonians and visitors. Find out more about the event here. See the video on the event here. Registration is required for this free event. Find out more about the Home Show and reserve your seat here. On the regional level, the 2014 report, Risky Business: The Economic Risks of Climate Change in the United States, states that these challenges will be faced throughout Southeastern United States, leading to economic impacts such as loss of productivity in the agricultural, shipping, manufacturing, and other sectors, infrastructure damage, and increased mortality and displacement of citizens. (Read the full report in our Resources Center). Above: Sea Level Rise estimates from the Hampton Roads Region report. Click graphic for a larger image. Sea level rise will substantially increase damages to residential properties in the Hampton Roads region. Without additional sea level rise the expected damages in any given year are estimated to be roughly $12 million. These expected damages would increase to roughly $50 million annually with a sea level rise of .5 meters and to over $100 million annually with a sea level rise of .75 meters. Sea level rise will significantly increase the regional economic impacts of large storm events. The decline in Gross Regional Product (GRP) of the Hampton Roads economy as a result of a 100-year storm event would go from $611 million without sea level rise (in the year of the storm) to over $1 billion with sea level rise of .5 meters and over $2 billion with a sea level rise of .75 meters. With infrastructure, buildings, businesses, naval facilities, and the population at increasing risk, public and private organizations are seeking the means to finance mitigation and adaptation strategies. While emphasis has been placed on analyzing the economic impact in the coastal areas in Virginia, where communities are facing immediate challenges, other areas around the state are also working to deal with increased flooding, extreme weather events such as tornadoes and severe thunderstorms, and economic impacts from loss of productivity in the agricultural and manufacturing sectors. A preliminary review of several of the existing financing mechanisms available in Virginia that already address some of these needs provides a starting point for looking into creative ways to use existing funds for resiliency projects. The next step will be to seek innovations such as those used in other states for financing of mitigation and adaptation strategies. Virginia Resources Authority (VRA) funds municipal projects in 18 different areas that include water and wastewater, flood prevention and dam safety, energy and transportation. Examples include loans for a stormwater retention facility in Herndon, a new water micro-filtration plant for Buchanan, and an energy cogeneration project for the Frederick Winchester Service Authority. 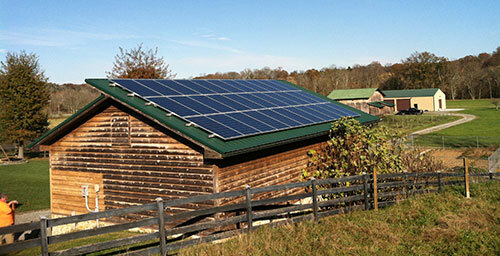 The USDA provides loans and grants through its Rural Development Program for such projects as community facilities, rural businesses, local food facilities, and many others, while its Rural Energy for America Program (REAP) provides funds for renewable energy and energy efficiency improvements. Virginia Department of Mines, Minerals and Energy has established the VirginiaSAVES Green Community Program to provide subsidized financing for private businesses, institutions, and municipalities for energy efficiency, renewable energy, and alternative fuel projects. This program is initially capitalized with $20 million of Qualified Energy Conservation Bonds. In the area of farmland preservation, Virginia Department of Agriculture and Consumer Services (VDACS) provides matching funds to preserve working farm and forest lands through the Purchase of Development Rights Program. In January, 2017, $500,000 in grants were allocated to four counties, as well as to Virginia Beach and Chesapeake, under this program. Since 2008, the state has allocated matching funds of more than $11.9 million. We are pleased to report that information on financing resiliency will be featured in presentations at the 2017 Resilient Virginia Conference. Collaborate with multiple stakeholders on developing a response for the region through an interdisciplinary collaborative workgroup comprised of technical and policy experts from across the region to guide development of a climate resiliency roadmap. We are pleased to report that regional initiatives such as that of the NVRC Resiliency Team will be featured presentations at the 2017 Resilient Virginia Conference. Highlights for April 2017 and Beyond!! April 22: Extreme Events Game (1–3 pm). Participate with the Koshland Science Museum facilitators in this free, fun, and challenging role-playing game to create resiliency in the face of extreme weather events. Save your seat by signing up here. April 22: Earth Day and March for Science. Washington, DC. The Earth Day Network and March for Science are co-organizing a rally and teach-in on the National Mall. The day’s program will include speeches and trainings with scientists and civic organizers, musical performances, and a march to the White House. See more info here. April 29, 2017: People’s Climate March in Washington DC. Join the Peoples Climate Movement in Washington, D.C. and across the country to stand up for our communities and their initiatives to address climate change. See more info here. April 30: Scenario 300 Conference. Washington, DC. The conference will focus on regenerative agriculture and ecosystem restoration solutions to address climate change and get atmospheric CO2 concentrations down from 406 to 300 ppm to stabilize the climate. Register here. In addition to these events, check our Resilient Events Calendar on a regular basis to find out what is happening in Virginia, around the nation, and virtually through webinars. It’s Spring! Just the Right Time to Join! Thanks to our recent new members and supporters!